Pathiramanal Island occupies just about 20 hectares of land in the middle of Lake Vembanad. The secluded islet is accessible only by boat. This place has been close to the heart of bird enthusiasts for a long while. Kerala Backwater tourism picked up in the last decade. Since then, Pathiramanal Island, located in a backwater hot spot, has become a favorite stop-by location of boat rides. The uninhabited island is so small that even by walking you can reach all over the island. Birds thrive among the canopy of greens in the middle of vast expanse of water. Besides 91species of local avian inhabitants, different kinds of migratory birds from around the globe make here a second home, all throughout the year. Whisper of waves and pamper of gentle breeze calms senses, while getting lost in the world of birds. They are usually seen restful among dense bushes or flying around scattered palms and trees. Herons, Cormorants, Darters, Gulls, Egrets and Kingfishers are just a few of the inhabitants. Great scenic beauty, wide water front, waving coconut palms, floating weeds and hyacinths, tiny birds building nests on weeds and so on will keep you in a happy mood. 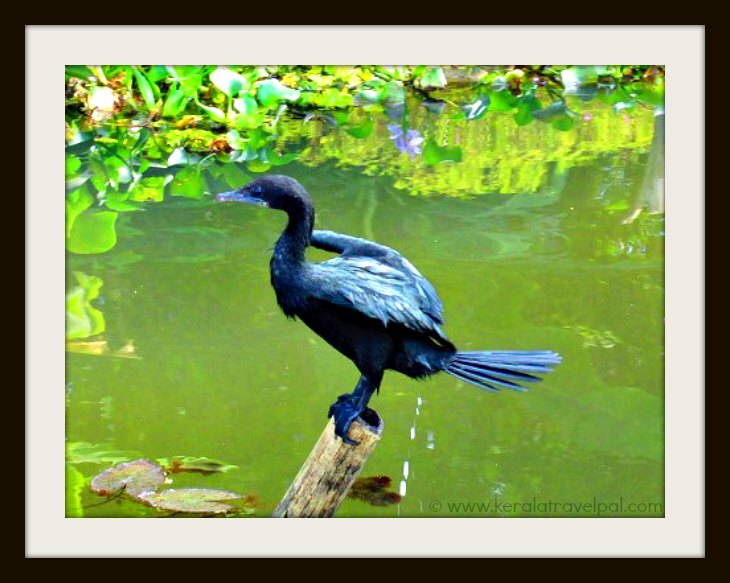 Well liked by ornithologists and bird enthusiasts, Pathiramanal captivates calmness seekers and nature lovers alike. It is quite interesting that many varieties of rare and medicinal plants are seen among the dense foliage of this tiny Island. Pathiramanal in Malayalam means sands of midnight. There are no accommodation facilities on this Island. Pathiramanal tours are limited to day time hours. Recognising its potential as a bird habitat and promising tourism spot, Kerala government took over the property in the early 1970’s. Kerala Tourism Department manages it with a focus on sustainability. Similar to many other Kerala tourist locations, Pathiramanal Island is a plastic free zone. Pathiramanal Bio Park, a dream conceived by local authorities, is progressing to execution stage thanks to the support of Indian Government. The project envisions Pathiramanal to have a Bio Park, fish breeding facility, museum of natural history and aquarium are without jeopardising its natural beauty. As far as the local legend goes, the island sprang up as a result of divine intervention. It is supposed to have happened in an evening, while a young Brahmin (person belonging to Hindu higher caste worthy of priesthood) was offering his devotion. The islet holds a temple which remains hidden behind dense bushes. Pathiramanal is in Alappuzha District towards its border with Kottayam. Kumarakom, the famed backwater destination, is just 4 kilometres away. A boat trip of 40 minutes takes you on a tour to pathiramanal . Pathiramanal is located in the Kumarakom - Muhamma water route. Ayikkara Jetty of Muhamma is only 1 kilometres away. Pathiramanal can be visited as a stopover during sightseeing backwater trips. 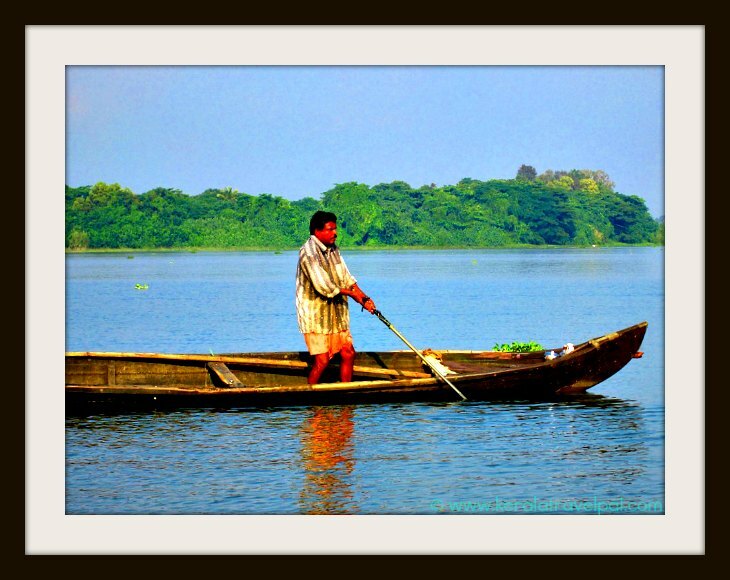 You can also hire a boat from Alappuzha or Kumarakom and travel to Pathiramanal directly. Accommodation Options : Hotels, lodges, resorts and home stays at Alappuzha and Kottayam. Resorts and hotels at Kumarakom. Nearby Attractions : Kumarakom, Alappuzha & Kuttanad for backwater rides, Kumarakom bird sanctuary, Aruvikkuzhi waterfall, Alappuzha town (food & shopping), Alappuzha beach, Sea View park, Kottayam town (food & shopping),Chavara Bhavan & Edatuva Church.